The Geothermal Resources Council (GRC) is pleased to announce the appointment of Steve Ponder as the association’s interim Executive Director, taking up his new duties on May 1. Steve has over 30 years of leadership experience in the renewable energy industry including geothermal development and operations for companies including Unocal, Geothermal Resources International and FPL Energy (FPLE). He helped develop over 100 MWs of geothermal resources at the Geysers geothermal field in northern California and led FPLE’s regulatory strategy for their 500 MWs of assets during the California energy crisis in 1999-2000. Most recently he was Director of Renewable Energy at NV Energy. Steve obtained a BA and MA from the University of Southern California and a JD from Southwestern University. Steve is committed to serving the global geothermal community and developing relationships that will enhance the development of geothermal energy utilization. Deadline for the GRC Annual Meeting Call for Papers is Just 5 Days Away! 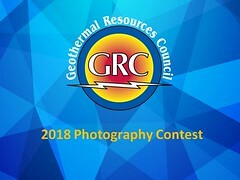 The Geothermal Resources Council issued a reminder for a call for papers today to be presented at the GRC Annual Meeting, the world’s largest geothermal event, taking place September 30-October 3, 2012, in Reno, Nevada, at the Peppermill Resort Spa Casino. Petratherm Managing Director Terry Kallis appointed as Chair of the Australian Geothermal Energy Association (AGEA). Discussions with parties interested in potential collaboration in the Paralana Joint Venture continued, with the aim of completing the sub- surface fluid circulation system by the drilling of a second deep well into the fracturede zone. The first phase of geo-phyiscal investigation in Tenerife as part of the GeotherCan project was successfully completed in March 2012, with an MT survey conducted by Petratherm and the University of Barcelona. Further interpreation of the data collected is ongoing and will help define the potential for an active geothermal system at shallow depth in areas that are well suited for future development. The results of the interpretation will aid planning of the second phase of the MT survey scheduled for the next quarter. Hot Rock Limited (HRL) of Brisbane, Australia, advises that it has received notification from Energy Development Corporation (EDC) that EDC will not be proceeding with the Joint Venture at the HRL’s Calerias Project in Chile. HRL and EDC are in the process of finalising Shareholder Agreements in respect of three other Joint Ventures (as previously announced to the market on the 3 February 2012) to explore, evaluate and develop the geothermal energy potential of the Longavi project in Chile and the Quellaapacheta and Chocopata projects in Peru. Philippines’ newest geothermal power station in five years, and the first under the current Aquino Administration, broke ground on Friday, April 27 in simple ceremonies conducted in Barangay San Rafael, Sto Tomas Batangas. Maibarara Geothermal, Inc. (MGI), the joint-venture firm 65% owned by PetroGreen Energy Corp. , the 100% subsidiary of PetroEnergy Resources Corp., Trans-Asial Oil & Energy Development Corp. (25%), and government-owned PNOC-RC (10%), led the ceremonial ground breaking signalling the physical start of the power plant construction. The 20 MW Maibarara geothermal power project is an integrated steamfield and power plant facility that is expected to be operational by late 2013. It is the country’s newest geothermal power plant after the 49 MW Northern Negros plant commissioned in 2007. Calpine generated 29 million MWh of electricity in the first quarter of 2012, a 52% increase compared to the first quarter of 2011 including over 1.5 million MWh of Geothermal baseload generation with 97% capacity. Australian geothermal energy company Greenearth Energy Limited has launched a carbon dioxide-to-fuel conversion technology that could provide emissions reductions for brown coal users in Victoria. The NewCO2Fuels concept (PDF), driven by Greenearth Energy, involves the use of concentrated solar energy for the dissociation of carbon dioxide to carbon monoxide and oxygen. A number of bills authored by Assemblyman V. Manuel Pérez, D-Coachella, won approval in policy committees this week. Assembly Bill 2205 makes a regulatory clarification related to facilitate the use of a new lithium extraction process at Californian geothermal plants. This regulatory change will help spur business creation in new industries tied to geothermal energy. Lithium is an important element needed for the production of batteries for electric vehicle batteries and other energy storage technologies, which will help meet the state’s emission reduction and electric vehicle goals while encouraging business development in this field. The bill passed on consent Tuesday in the Assembly Committee on Environmental Safety. The bill now proceeds to the Assembly Appropriations Committee for fiscal review. Two Cornell student teams are among 10 selected nationally for phase two of a government competition to spark interest in geothermal careers and education, and findings from the winners may be used by industry to develop new geothermal sites. 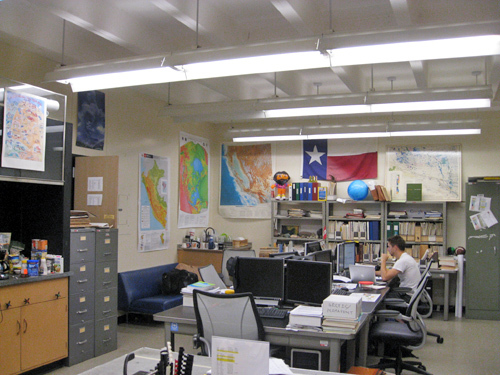 The National Geothermal Student Competition, sponsored by the U.S. Department of Energy and the National Renewable Energy Laboratory, requires student teams to develop professional-quality research reports that address the use of one or more exploration technologies -- from the fields of geophysics, geochemistry, remote sensing and geology -- to develop a geothermal system in Idaho's Snake River Plain. An all-day public hearing was held in Ft Liard, NWT on April 24, 2012 as part of the permitting process for the Ft Liard Geothermal Project. The project, pending permitting and timing, could be the first geothermal power generation project in Canada. The position of gas generators in glasshouse horticulture is regularly discussed. 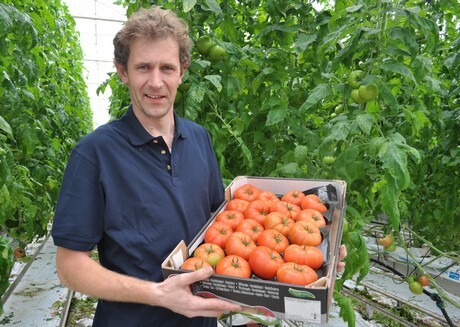 Dutch horticulture is really looking for an alternative to boilers and gas fired motors. More and more horticulturists are interested in the possibilities of geothermal heat as a primary source of heat. Geodynamics Limited operator of the Innamincka Deeps Joint Venture, is pleased to advise that it has cased and cemented the 406mm (16") section. Since the last update, the Joint Venture experienced a delay in operations, due to the need to repair and replace items of surface equipment damaged during routine equipment testing, prior to casing and cementing the 406mm (16") section. The Joint Venture is currently preparing to drill ahead in the 311mm (12 ¼") section. Puna Geothermal Venture plant in the upper right. 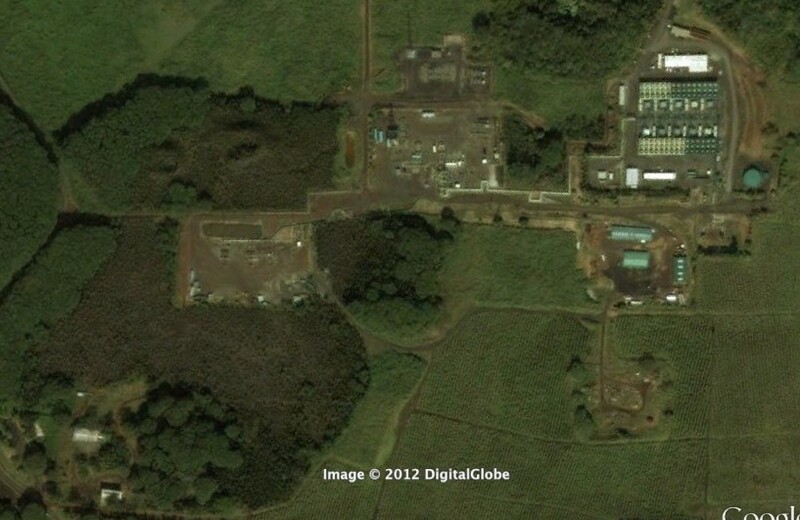 Geothermal development in Hawaii could be returning to where it began – next door to the Puna Geothermal Venture plant in Pohoiki. The state Board of Land and Natural Resources on Friday will consider whether to grant a new geothermal mining lease for the state property in Pohoiki where the first producing well was drilled in the 1970s. The power utility told the Public Utilities Commission of Nevada Wednesday that it went beyond its renewable-portfolio mandate in 2011. The company got 16.7 percent of its electricity from renewables last year, more than the 15 percent required by state law. Major projects that came online in 2011 include the 22.5-megawatt Jersey Valley geothermal project in Lander and Pershing counties and the 32-megawatt Tuscarora geothermal project in Elko County. Fuji Electric Co., Ltd., a leading supplier of turbine generator equipment to the power generation industry, today announced its investment of $10 million in the development of a geothermal plant in Imperial Valley, California, owned and operated by EnergySource LLC, an independent renewable energy generation company that develops utility scale geothermal power plants. EnergySource plans to commence drilling mid-year for Hudson Ranch II, with plant construction to begin in 2013 and commercial operations in 2015. Like its recently completed Hudson Ranch I project, in which EnergySource first selected Fuji Electric steam turbine generator equipment, the new plant will generate 49 MW from one of the largest and highest temperature geothermal resources in North America, the Salton Sea resource in Imperial County, California. Geothermal development in Latin America is being held back by low power prices, Bart van Campen, international project manager from the University of Auckland's geothermal institute, told BNamericas. Peru's abundant gas and hydro resources make geothermal development less attractive, van Campen said, while in Argentina, a lack of available investment sources may prove a significant barrier to development of the technology. PG&E Corp.'s (PCG) utility told California regulators Wednesday that it has terminated a geothermal-power contract with Arclight Capital Partners LLC unit Terra-Gen Power. Under the 25-year contract, signed in 2010, renewable-energy developer Terra-Gen agreed to build a 53-megawatt geothermal power plant near Reno, Nevada, and sell the power to PG&E starting in 2013, when the plant was expected to be completed. PG&E had agreed to pay more than 11.25 cents a kilowatt-hour for the electricity, according to documents filed with the California Public Utilities Commission. In a letter to the commission Wednesday, PG&E said the contract had been terminated and the utility was withdrawing its previous request for approval of the contract. The Environmental and Energy Study Institute (EESI) invites you to a Congressional briefing to discuss several renewable energy resources which often do not receive much attention and yet are in plentiful supply across the United States: renewable gas, hydropower, and geothermal. Each of them can provide baseload electricity, and each of these renewable energy resources comes from a variety of sources and can deliver energy through a variety of energy technology applications. The briefing will explore the status of these resources, how they are used and why, and what the market drivers are for them. This event is free and open to the public. No RSVP required. A government panel yesterday recommended a preferential rate, known as a feed-in tariff, of 27.30 yen a kilowatt hour for geothermal plants with the capacity of 15,000 kilowatts or more and 42 yen for smaller plants, both for 15 years. Pending approval by the Ministry of Economy, Trade and Industry, the feed-in tariffs will be introduced in July to spur investment in solar, wind, geothermal, biomass and hydroelectric power generation. The panel will meet again on April 27 to finish their recommendations, according to Ueta. A unit of Ormat Technologies will supply a $61.2 million engineering, procurement and construction contract through a competitive bid process. Under the expected EPC contract, which is currently under negotiation, Ormat will provide two air-cooled Ormat Energy Converters for a geothermal power plant project in North America. Additional information about the project was not available at press time. The Hawaii County Council held a special hearing on renewable energy development in Pahoa on Tuesday night – specifically, a hearing on geothermal development and expansion on Hawaii Island. The design includes green roofing and exploiting the site’s geothermal heat to generate electricity and heating. A few years ago, British engineering firm Atkins won the rights to design an extravagant hotel deep within a 100-metre pit in Shanghai's Songjiang District near the base of Tianmashan Mountain. Construction on the Intercontinental Shimao Shanghai Wonderland finally commenced last month, and the hotel is scheduled to open in late 2014 to early 2015. A Belgian engineering firm has said that the Con Mine site at Yellowknife, in the Northern Territories of Canada, has a sizable energy supply beneath it. 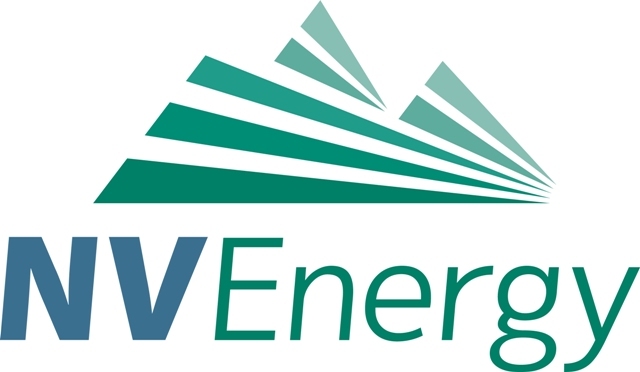 VITO (Vision on Technology) Engineering issued its findings to the city last week about just how much and how sustainable any sort of energy supply located at the site is and it appears there is 1.7 megawatts worth which could be used for heating purposes in the city. Foreign owners of geothermal plants in Indonesia, like Panax Geothermal of Australia, will not be impacted by a change in Indonesian resource ownership laws, with geothermal and renewable energy investments protected. Last month Indonesia’s Energy and Mineral Resources Ministry announced that foreign investors in coal, copper, gold and other resources would be required to reduce their stakes to 49% 10 years after the original date of production. However, Panax has received legal advice confirming that geothermal and renewable energy projects are excluded from the new requirement. Managing director Kerry Parker said the government in Indonesia was actively supporting and encouraging foreign investment in geothermal projects. Deadline for the GRC Annual Meeting Call for Papers is Just 11 Days Away! Deadline is May 4. The Geothermal Resources Council issued a reminder for a call for papers today to be presented at the world’s largest geothermal event taking place September 30-October 3, 2012, in Reno, Nevada, at the Peppermill Resort Spa Casino. Themed “Geothermal: Reliable, Renewable Global” the Geothermal Resources Council (GRC) is the sponsor of the Annual Meeting. Chinese Premier Wen Jiabao visited the Hellisheidi Power Station in southwest Iceland on Saturday, saying China will advance cooperation with this Nordic island country in geothermal energy. At the Hellisheidi power station, the second largest among Iceland's five major geothermal power plants, Wen watched the demonstration of the plant's operation and a video clip about Iceland's geothermal energy. Mighty River Power had gains in sales volumes and pricing in both the retail and wholesale markets over the quarter. Geothermal generation volumes were consistent with pcp at 532GWh, reflecting good availability across the four plants operated by Mighty River Power. Reported geothermal volumes will be lower by approximately 30GWh from the next quarter following the sale of a 10% interest in the Nga Awa Purua plant in April 2012. Phillipines based Basic Energy Corp. is looking at developing a number of geothermal sites in the country. In a regulatory filing to the Philippine Stock Exchange, Basic said it filed applications for geothermal energy service contracts in four locations classified as frontier areas with the Department of Energy (DOE). In September last year, Basic signed a farm-in agreement with Geoenergy, which allowed the latter to acquire up to 70-percent participating interest in the Mabini geothermal project. This deal entails funding 100 percent of the exploration costs up to the completion of drilling one geothermal exploration well. Geoenergy said it plans to acquire, explore and develop geothermal energy resources in the Philippines for power generation. Ethiopia is set to begin preparing renewable energy projects specified in their investment plan under the Scaling Up Renewable Energy Program in Low Income Countries (SREP) after successfully achieving investment plan endorsement from the SREP sub-committee at their meeting on 8 March 2012 in Nairobi, Kenya. SREP is a program of the Climate Investment Funds (CIF) of which the African Development Bank (AfDB) is an implementing agency. Approved in principle, Ethiopia's investment plan calls for AfDB technical support and guidance to prepare and implement Phase II of the Aluto Langano geothermal project. Project preparation grants were approved (USD 900,000) so work can get underway. Ethiopia will seek full endorsement of its investment plan by early May 2012. The Bank expects to channel USD 22.6 million in SREP financing to Ethiopia. The Mt. Baker-Snoqualmie National Forest is seeking public comment until May 20 on whether to lease a portion of 5,500 acres of land nominated for geothermal exploration and development, located southeast of the Mt. Baker National Recreation Area and west of Baker Lake. Iceland's Orka Energy signed a deal with China Petrochemical Corporation of the Sinopec Group on using geothermal energy in China for heating homes and generating electricity. China and Iceland announced a series of deals Friday after Chinese Prime Minister Wen Jiabao flew in to Reykjavik on the first stage of a four-nation European tour. The deal was part of a package of six agreements signed on the first day of the Chinese premier's visit to the country, during which he held talks with his Icelandic counterpart Johanna Sigurdardottir. U.S. Geothermal Inc. has provided the following updates on: the construction of its new 8.6 net megawatt ("MW") Phase I power plant and development of its 8.6 net MW Phase II project at San Emidio, Nevada; the progress of construction of its new 22 net MW power plant at Neal Hot Springs, Oregon; the current status of its 13 net MW power plant at Raft River, Idaho; and, activities related to its Guatemala geothermal project. The Chilean Ministry of Energy has successfully completed the bidding for 20 exploration areas which are located in eight regions of the country, concentrating on the central north. Chile wants to become a leader in geothermal energy and proof of which is the investment registered for geothermal exploration. The commitments made by different companies amount to about US$ 250 million covering an area of one million hectares for studies of potential geothermal reservoirs. 13 companies were submitted to a process that received 70 bids for the different areas of the tender. Solar energy, hydro-electricity, geothermal, biofuels and nuclear are options that are going to be explored. Following a vote in its Senate on Thursday evening, Mexico is poised to become just the second country in the world to enshrine long-term climate targets into national legislation. The margin of the vote was huge - 78-0 - indicating that all political parties have found common ground on this issue. Now all that's needed is the signature of President Felipe Calderon, which is expected to materialise next week. Several renewable energy incentives are on the congressional chopping block this year, and every year, it seems. There are plenty of persuasive arguments on either side regarding whether or not to keep renewable incentives. We believe a long-term energy policy is needed at the federal level to allow the domestic renewable energy industry to grow and ultimately prosper. It will remove the guesswork surrounding what incentives may be available in any given year. An estimated US$8.76bn investment will be required to implement 4.32GW of renewable energy plants in Peru by 2040, according to an energy and mines ministry report. Geothermal would account for 34.7% of the renewable capacity, followed by wind (31.1%), biomass (14.4%), mini-hydro (11.5%) and solar 8.3%. Combined, these alternative energy sources could represent 17.3% of total capacity that year. A billboard at Iceland's Keflavik airport advertising the country's geothermal energy, from utility Landsvirkjun. Photo by Mark Halper. From Mark Halper, Freelance journalist, SmartPlanet contributing editor, Bristol, England. As CEOs of Microsoft, Amazon and Apple, you’re probably aware that the environmental group Greenpeace this week branded each of your companies as laggards at improving the environmental friendliness of your data centers. It has launched a public campaign to pressure you into improvements. Philippines-based Energy Development Corporation, the second largest geothermal company in the world in terms of installed capacity, said it is continuing to expand its operations outside the Philippines - particularly in the Pacific Ring of Fire and East Africa. "There are 29 countries in the Pacific Ring of Fire that have geothermal potential," said Ernesto B. Pantangco, executive vice president of the geothermal company. Mr. Pantangco said the company is pushing through with its first international projects after acquiring a majority stake in four geothermal projects in Chile and Peru. Iceland will show off its volcanic power in a bid to increase trade with the fastest growing major economy as Chinese Premier Wen Jiabao visits the island. Wen, whose two-day visit starts today, will tour Hellisheidi, Iceland's largest geothermal power plant, and meet with President Olafur R. Grimsson and Prime Minister Johanna Sigurdardottir. "Iceland and the city of Reykjavik, especially, have a story to tell of the country's energy conversion from fossil fuels," Bjarni Bjarnason, chief executive officer of Reykjavik Energy, Iceland's largest utility, said in an e-mailed reply to questions. "In a cold country we don't have to rely on oil, coal or gas to keep us warm." The volcanic island gets about 25 percent of its power from geothermal sources and the rest from hydropower. Iceland last year started a feasibility study into building a 1,170-kilometer (727-mile) power cable to Scotland to send some of its untapped potential of geothermal and hydropower power to Europe. Limited Space Available - Register Now! Geochemistry plays an essential role in all stages of geothermal exploration and development. This two day workshop on the applications of geochemistry to geothermal systems will be of interest to professionals in the geothermal industry and graduate students interested in hydrothermal and geothermal systems. Lectures by experts from industry and academia will discuss the interpretation of water and gas analyses (including isotopes and noble gases); hydrothermal alteration in geothermal systems; fluid-geochemical modeling and water-rock interactions; wellbore scaling; and the recovery of minerals from geothermal waters. After determining that the existing electricity supply can meet the state’s system needs through the year 2020, the California Public Utilities Commission (CPUC) voted unanimously today to defer any new procurement of fossil fuel generation. This ruling establishes for most of the state, that California’s long-term energy needs do not require building more fossil fuel infrastructure, which contributes to global warming. Throughout the proceeding, environmental advocates emphasized the benefits of replacing power generated by burning natural gas with power from renewable sources such as wind, solar and geothermal, which do not produce greenhouse gases and other pollution. Currently, the city of Los Angeles is contracted with Terralog Technologies (TT) to use geothermal power to process waste generated at the surface. To do this, TT is injecting waste directly into the deep subsurface of the earth. The carbon dioxide that is produced is under such immense pressure underground that it liquefies. With carbon dioxide in liquid form, methane is free to build up on its own. Underground, the gases surrounding buried sewage are 95% methane. Once enough methane builds under the surface, it will become possible to use the gas for fuel. Terralog is not currently creating energy, but methane levels are being closely monitored in hopes of using this abundant source in the future. A feasibility study on extracting geothermal energy from water beneath Con Mine near Yellowknife, in the Northern Territories of Canada, is expected to be in the hands of city staff tomorrow. Mayor Gord Van Tighem said a finished report on the mine's geothermal potential will be presented to city staff by scientists from Belgium-based VITO (Vision on Technology). The study, called Mine Energy Resource Evaluation, is based on research conducted last summer when five scientists from the company were hired by the city to examine the mine's potential. Van Tighem said the scientists tested water temperature and designed a computer model for the underground mine workings, which have been filling up with water since the mine closed in 2003. The Teapot Dome in central Wyoming will always be associated with one of the nation's biggest political scandals in history, but these days the old oil field is a participant in developing a new type of clean, renewable energy. The field, now known as the Rocky Mountain Oil Test Center (RMOTC) and owned by U.S. Energy Department, is the site of a demonstration project that takes hot water extracted as a byproduct of oil and gas wells and turns it into geothermal power. The process benefits both the environment and oil and gas production by broadening and extending the use of perhaps thousands of oil and gas field across the country while creating a new source of clean, reliable energy. Almost 40% of Glasgow's heat could be provided by tapping into waters from abandoned mines underneath the city, according to the British Geological Survey (BGS). The BGS is working with Glasgow City Council to identify which areas of the city could supply geothermal energy. 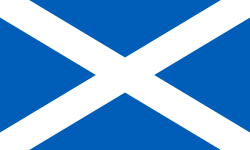 They believe this new source of energy could help Glasgow meet government targets to lower carbon emissions. The city is aiming to provide 11% of heat from renewable sources by 2020. CO2 Plume Geothermal technology makes production of power using geothermal heat financially feasible, where water isn't. The University of Minnesota has launched a startup that will provide renewable energy more economically than existing alternatives while reducing harmful carbon dioxide emissions from fossil fuel combustion such as from coal-burning power plants. Heat Mining Company LLC will use sequestered carbon dioxide rather than water to extract heat from deep underground and use this thermal energy to generate electricity. The use of carbon dioxide(CO2), rather than water, allows electricity to be provided from many more sites than would be possible with conventional water-based systems and does it more economically. "CO2 Plume Geothermal technology makes production of power using geothermal heat financially feasible, where water isn't," says Ken Carpenter, Managing Partner of South Dakota-based Heat Mining Company LLC. "This technology sits at the convergence of two conflicting demands in our society: the need to burn fossil fuels for the foreseeable future and the desire to reduce carbon emissions." Phillipines geothermal firm Energy Development Corp. (EDC) will transfer equipment from its shuttered Northern Negros steam facility to Leyte, an official said yesterday. “The [facilities] of the Northern Negros plant will be relocated to our Palinpinon power plant in Leyte,” said EDC Vice-President Ernesto B. Pantangco during the 2nd Philippine Renewable Energy Summit. The company, however, could not disclose a timetable or cost. The 49-megawatt (MW) Northern Negros power plant was shut down in June due to dwindling steam resources. Contrary to figures published by Bloomberg early last week announcing global clean energy investment was down by 22% Environmental Entrepreneurs (E2) has published a report in defiance stating that nearly 50,000 clean energy jobs have been created in the US alone, through approximately 137 project proposals in Q1 2012. For Geothermal Power, 2 new projects were announced in Q1 2012, 255 jobs are at projects in operation, 2,300 at projects in progress, making a total number of 2,555 jobs in the USA geothermal sector. The Energy Department has announced finalists in the 2012 National Geothermal Student Competition (NGSC) to explore the economic feasibility of harvesting geothermal energy in the Snake River Plain, Idaho. Student teams at leading universities nationwide presented cutting-edge research in geothermal explorations in geology, geoscience, chemical and bio-molecular energy, and engineering. As part of the Obama administration's all-of-the-above approach to clean, domestic, renewable energy, geothermal potential offers a reliable, baseload solution in the mix of renewable options. Platts, a leading global energy, petrochemical and metals information and benchmark price references provider, today said it has launched weekly price assessments for renewable energy certificates(RECs) covering 15 compliance products in use in eight U.S. states where renewable portfolio standards (RPS) have been mandated by state governments. Platts is also providing assessments for two voluntary products. A REC represents the environmental attributes of a megawatt-hour of electricity from a renewable facility, like wind, solar, or geothermal. Merdeka Palace in Jakarta, Indonesia, Tuesday. Visiting New Zealand Prime Minister John Key and President Susilo Bambang Yudhoyono held a bilateral meeting and witnessed the signing of four agreements between the two countries’ high officials at the Presidential Palace on Tuesday. Officials from the two countries talked about exploring Indonesia’s geothermal resources. Before the joint press conference, New Zealand’s Trade Minister Tim Groser and Energy and Mineral Resources Minister Jero Wacik also signed an agreement on cooperation to develop geothermal potential. Following the signing, PT Pertamina Geothermal Energy (PGE) and Geothermal New Zealand (Geonz) also signed a memorandum of understanding (MoU) on the development of geothermal resources in Indonesia at Jero’s office. The agreement was expected to make PGE the largest geothermal producer in the country by 2015 or 2016. The cooperation will include the construction of a geothermal laboratory that will be jointly operated; geological and geophysical studies to map reserves in potential regions; assistance in the implementation of the acid brine treatment at the Lahendong field in North Sulawesi; and aid in the improvement of PGE’s human resources through training and education at the University of Auckland. The Icelandic state-owned energy producer, Landsvirkjun, has publically offered data centres around Europe the most competitive power prices across the continent in an attempt to benefit from the growing energy demands of the IT sector. The spot light has focused on data centre energy usage recently, especially after Greenpeace’s attack on Apple. The company has set itself the challenge of capturing 1% of the total European data centre market by 2020. All the energy provided to these facilities will be generated from renewable hydroelectric and geothermal sources, helping companies like Google, Apple and Facebook reduce their carbon footprints and energy bills. Scientific Drilling International today announced that Jayme Sperring has been named Director, Global Sales and Marketing. Sperring will manage Scientific Drilling’s global directional drilling and production logging sales team and marketing department from Corporate Headquarters in Houston, Texas. Deadline for the GRC Annual Meeting Call for Papers is Just 17 Days Away! The Geothermal Resources Council issued a reminder for a call for papers today to be presented at the world’s largest geothermal event taking place September 30-October 3, 2012, in Reno, Nevada, at the Peppermill Resort Spa Casino. The African Development Bank (AfDB) and Kenya’s Geothermal Development Company (GDC) have launched the Menengai geothermal project, designed to produce electricity for 500,000 households and displace two million tons of CO2 per annum. GDC is a state-owned company charged with boosting geothermal energy generation in Kenya. The project, launched on 12 April in Nairobi, is the first geothermal project developed exclusively by GDC. Located in the African Rift system, the Menengai project is expected to set the stage for investments to help meet the country’s rapidly increasing demand for power, and transform the country into a competitive clean energy economy. With the abundant geothermal potential of the United States, what are the biggest barriers to tapping into that renewable energy source? "As with other renewable energy technologies in the United States, growth in geothermal energy production is affected by the uncertainty over how long current federal policies will continue to support new development. This uncertainty affects geothermal planning timelines more than other renewables, as geothermal projects tend to have higher upfront risks and costs and take longer to build. While new geothermal projects will continue to be built, industry growth and the role of U.S. companies in vibrant world markets will hinge on consistent, long-term federal policy support. President Susilo Bambang Yudhoyono said on Monday that he hoped more Indonesian students would study geothermal energy in New Zealand, which is a leader on the subject. Yudhoyono was speaking on the sidelines of a meeting with New Zealand Prime Minister John Key in Jakarta on Tuesday. “We are hoping that there will be cooperation projects between universities of the two countries. Hopefully, Indonesian students will be able to take several subjects that New Zealand is famous for, like geothermal studies,” he said. Key has said that investment in Indonesia’s geothermal sector was among the top priorities of the two countries. Indonesia was home to approximately 90 percent of worldwide geothermal potential, while New Zealand was one of the world’s biggest geothermal producers. Earth Heat Resources Limited has completed its first phase field program at its Copahue Project located in Western Argentina. Mustang Geothermal Corp. announced today important information concerning actions taken by the Company as the result of its entrance into a Material Definitive Agreement on March 8, 2012. Acquire all of the issued and outstanding common shares of North Homestake Mining Company (North Homestake), a Nevada Corporation.